Smoking shisha with your friends may be one of your favorite pastimes, but you may be approaching it the wrong way. Have you heard any of these myths? We sure have, and we are here to tell you the truth. 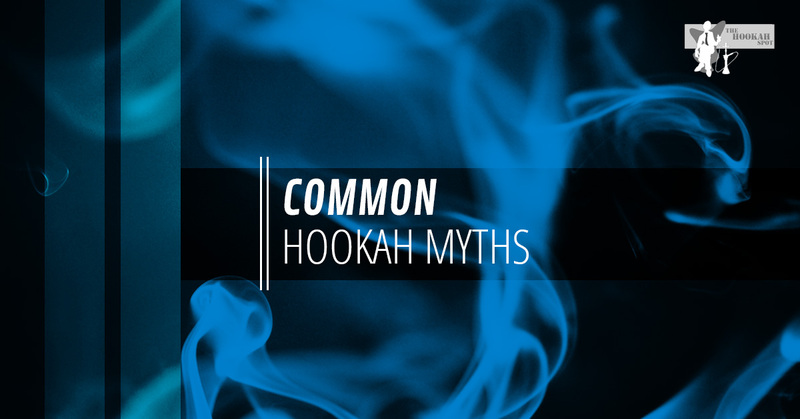 Don’t let these myths get in the way of your hookah smoking experience! Myth: Put the foil shiny side facing downward. Some people are passionate about putting the shiny side down in the foil, but not many people can really tell you why. While there have been repeated claims about the heat retention increasing when you do this, we have seen no evidence that points to this being true. With that said, try both ways and see if you notice a difference. We certainly haven’t, so whatever way you want the tinfoil to face is your call. Myth: Put milk in the base of the hookah for bigger smoke clouds. We highly recommend that you NEVER attempt this. When we consider the health factors alone, this looks like a bad idea. When you push air through milk, it begins to froth up. This milk will likely get into the hose of your hookah, the stem, the heart of the pipe, to the purge valve, and just about everywhere else. Unless you are deep cleaning your hookah after every use, the milk in your hookah can lead to disgusting bacteria and fungus growth. Believe us, that is not something you want to inhale. These bacterias can lead to lung or respiratory infections. That aside, those we know who have tested the milk base did not get larger clouds. It is not worth the risk! Myth: The more juice there is in the shisha, the more flavorful the smoke is. Hookah these days is centered around getting a nice, big, thick cloud of smoke, and we get it. The thicker the cloud, the better the smoke tricks and flavor experience. Since this is the case, a lot of shisha comes to people just dripping in juice. The juice is made up of honey, glycerine, molasses, or some such combination that can give you really big clouds. However, these juices are also really flammable, meaning that it can ruin the flavor of your shisha smoke. If you choose to smoke a wetter shisha brand, it’s not a bad idea to pat the shisha with a paper towel first. This will help you remove excess juice and preserve the flavor. Of course, if you are using proper packing and heat management techniques, you won’t have any issues getting a thick, full, flavorful cloud. The shisha will also burn more evenly and taste better for your entire experience. Keep in mind that more juice doesn’t necessarily mean more flavor! Myth: You have to acclimate certain shisha brands. Years ago, smoking certain shisha brands, like Tangiers, demanded that you prepare the shisha ahead of time. You used to have to “acclimate” the shisha. Beginners who didn’t know that missed out on quite a few tasty flavors. However, these shisha brands no longer require that type of acclimation, assuming you know what you are doing. When you get a new back of shisha, take a few minutes to massage the shisha in the package. Just press it around enough so that the juices are evenly distributed in the shisha. After doing this, open up the bag and smell the shisha. If it smells right, it’s ready to smoke! If not, continue massaging the package. Myth: Tall hookahs smoke better than short hookahs. It is not the height of the hookah that makes a difference—instead, it is the size of the base. Now, there are some benefits to taller hookahs. For example, they tend to have wider stems, which can help with airflow. However, some smokers prefer a more restricted inhalation. Also, smoke will take a little longer to travel down the stem of the tall hookah than a short one. This does not affect the smoke quality, though. What matters more than anything else is that your bowl is packed properly and that your base can hold both water and smoke. The water cools the smoke, which is what makes the smoke so easy to inhale. Come See Us at The Hookah Spot! If you are looking for a hookah bar experience tonight, come see us! We look forward to seeing you and your friends at South Carolina’s top hookah spot.